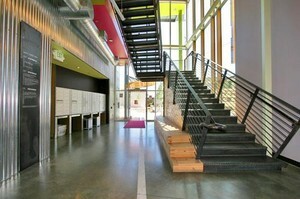 Award winning Taxi Lofts is one of the hippest buildings in Denver. Made up of both work and living spaces all in an ultra modern look! These latest edgy entry in Zeppelin Development's portfolio show their specialty in hip and urban developments. Units have exposed metal ceilings, track lighting, stainless Bosch appliances, Poggenpohl cabinets, polished concrete floors, translucent walls, Duravit sinks and soaking tubs. 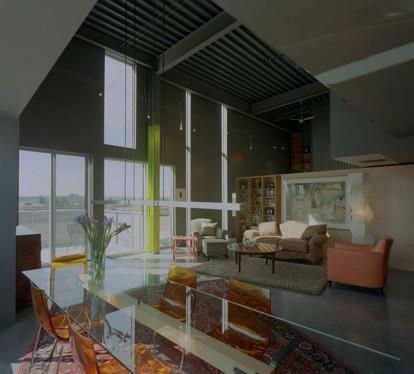 This is an environmentally sustainable community with energy saving windows. 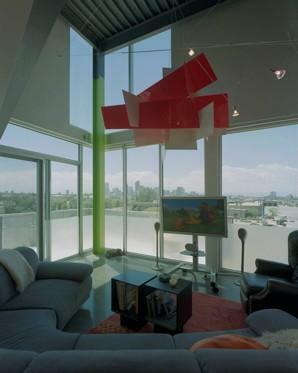 These 20-foot ceiling lofts have mezzanines, balconies and breathtaking views of the mountains and Denver's skyline from large windows. 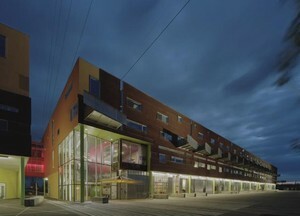 This innovative redevelopment of the Yellow Taxi dispatch garage also has free parking for residents and an exercise gym. 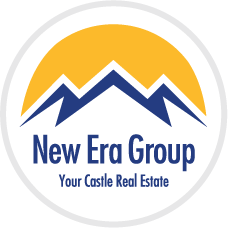 You get a choice between "The Crash Pad", a 1 bedroom with a flat screen TV already there and "The Double Wide", a two bedroom with plenty of urban flair. Located in Ballpark, minutes from downtown by car - perfect for work, living and playing!